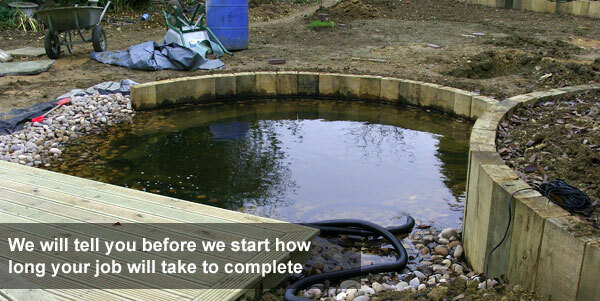 Once your garden design is agreed on and a budget set we can proceed to the construction phase of the project. This will vary depending on the size of the project. We will aim to minimize any mess and inconvenience to you. We can construct all types garden designs such as; driveways, patios, play areas, fencing, decking platforms, pergolas and garden water features. 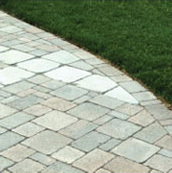 We offer professional block paving in Northampton, Market Harborough, Wellingborough and further afield. 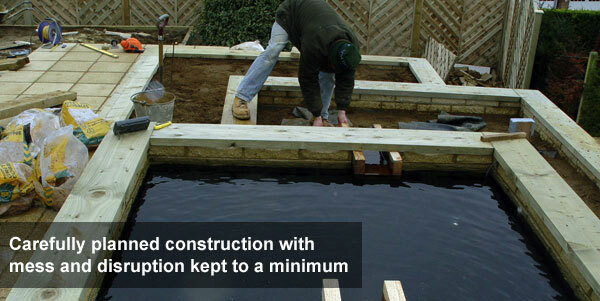 All types of construction can be completely bespoke; we can design and build uniqueness, which will add that extra quality to your garden environment. We can construct a range of different driveways based on a wide selection of currently available materials such as stone sets, cobbles, blocks or even certain types of slabs. Samples and styles can be agreed on with you before we start. We can also advise on the new planning rules for front driveways. Our commitment to your garden project provides quality of craftsmanship, which you will be proud of for many years to come. This is not just the dream environment you have been envisaging but it will also act as a sound investment should you feel that some time in the future that it is time to sell and move on. 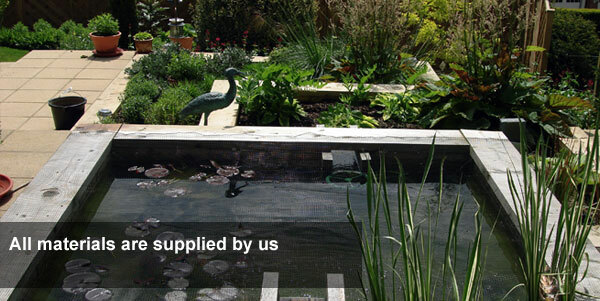 Another good way to make your property more appealing is to add a garden water features. Whatever your idea of patio may be, you can be sure that we have designed and constructed some great patios over the years, which include block paving and slabs. We will guarantee a professional service right through the entire project from planning to the start and end of the construction process. Even when we have finished the project we will provide a courtesy call to make sure that everything went as expected. We can cater for all different types of play areas dependant upon your specific needs and wants. For example if your child would like a swing and may be your worried about them falling and landing on harsh ground, we could possibly lay down some rubber compound material to help break any falls that may occur. What ever your thoughts are on the construction process, please don’t hesitate to make an enquiry and we can start to provide you with a simple solution, which could leave you thinking of new ideas. 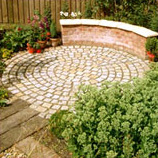 We carry out garden landscaping in Northampton and surrounding areas, such as Market Harborough and Wellingborough.